Track and view the latest people moves, nominations and recruiting activity in the ETF space. Horizons ETF Trust I (the “Trust”) today announced key leadership changes to the Trust’s officers. Mr. Jonathan Molchan, who serves as the portfolio manager to each of the four current series of the Trust (the “Funds”), has been appointed President and Chief Executive Officer of the Trust. Additionally, Mr. Thomas Calabria has been appointed Secretary of the Trust. 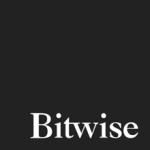 Bitwise Asset Management, creator of the world’s first cryptocurrency index fund, announced today that it has hired Martha Shear as managing director and head of business development, as it continues to build out its presence in the institutional market. 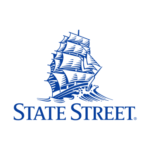 State Street Global Advisors, the asset management business of State Street Corporation (NYSE: STT), today announced the appointment of Sue Thompson as head of Americas Distribution for SPDR ETFs, effective immediately. Thompson will be based in Boston and report to Rory Tobin, global head of SPDR ETFs. OppenheimerFunds, a leading global asset manager, has appointed Ahmad Deek as Chief Risk Officer. He will be responsible for leading the firm’s risk management function and further enhancing its corporate governance structure. Deek will be based in New York and will join the firm’s Senior Leadership Team, reporting directly to Art Steinmetz, Chairman and CEO of OppenheimerFunds. OppenheimerFunds, a leading global asset manager, has appointed Julie Sendelbach and Dave Thomas to its CEO Advisor Institute’s Executive Consulting team. 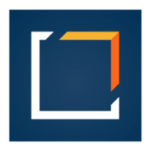 Reporting to Paul Blease, Director of CEO Advisor Institute at OppenheimerFunds, Sendelbach and Thomas will lead personal and professional development programs for financial advisors across the Midwest and Mid-Atlantic regions. Bitwise Asset Management, manager of the first cryptocurrency index fund, the Bitwise HOLD 10 Private Index Fund, announced today that ETF industry veteran Matt Hougan is joining the firm as Vice President of Research & Development. 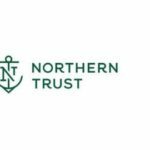 Northern Trust Asset Management has named Darek Wojnar, CFA, a 23-year investment industry veteran, as head of funds and managed accounts. Wojnar will oversee the development, distribution and management of the firm’s Northern mutual funds, FlexShares exchange-traded funds (ETFs), and managed accounts. American Century Investments today announced two new hires for its exchange traded funds (ETF) initiative. Rene Casis has been named portfolio manager and Sean Walker an ETF specialist for the $175 billion* global asset management firm. Fidelity International has appointed Bart Grenier from its US business as global head of its £233bn asset management business, as the group looks to further grow its investment management function around the world. Northern Trust announced the appointment of Dan Madden as Head of ETF Capital Markets for FlexShares. Allianz Global Investors has hired Carl Pappo and Frank Salem from Columbia Threadneedle as chief investment officer of US fixed income and senior portfolio manager respectively, in a bid to strengthen the group’s bond offering in the US. MSCI announced that Jeremy Baskin has joined MSCI as Head of Client Coverage in the Americas. He succeeds Jay McNamara who led the team for 5 years and will now head the firm’s real estate product line. In his new role, Mike Cronan will lead the ETF Marketing program for current and future ETC clients focused on building a customized multi-channel marketing plan, distribution strategy and product positioning. Deutsche Bank AG promoted head of its global equities business, Tom Patrick, to Americas chief executive. Patrick replaces Bill Woodley, who’s leaving the German lender. 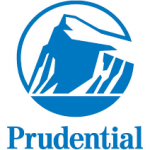 Daniel J. Bulawa previously worked for SpiderRock Advisors and RS Investments, where he operated in various Sales roles. Steve Oh moved over from VanEck, where he was the Head of ETF Capital Markets, responsible with supporting development, launch, trading and client support for all VanEck ETFs in United States and Europe. The chief executive of Vanguard, Bill McNabb, said he will step down at the end of the year, adding now was “the right time for a new leader” as the American fund giant ramped up its global expansion. JP Morgan Asset Management announced that Joanna Gallegos has been named Head of its US ETF business, reporting to Mike Camacho, Global Head of Beta Strategies. Burton Malkiel, the legendary Princeton professor and author of the seminal best-selling book “A Random Walk Down Street,” has joined the Index Committee for the Toroso ETF Industry Index. 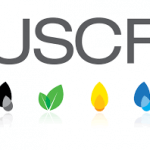 Maya Lowry joined USCF in 2016 as the Director of National Accounts and quickly added value to the marketing team. Maya has over 20 years of experience in asset management and is responsible for expanding the firm’s distribution and business development efforts. 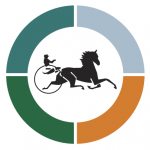 Former Bank of New York Veteran to Steer Industry-Leading Servicing Team for ETFs and Mutual Funds office. 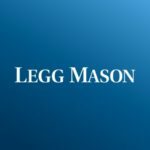 Victoria Rock has been appointed head of alternatives product at Legg Mason, leading the newly established global alternatives team out of the firm’s London office. 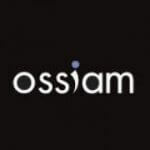 Yossi Boker will be leading the business development in key market. 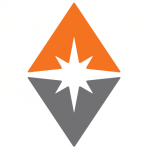 GraniteShares hires John Labadini for the ETF Sales role. SSGA hires Kathryn Sweeney as Head of SPDR Americas Institutional sales. In his new role at Global X, Jon Maier will focus on shaping the firm’s market outlook, helping build model portfolios, developing ETF products and crafting the firm’s investment strategy. 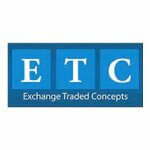 American Century hired Edward Rosenberg to the new position of senior vice president and head of ETFs. 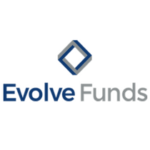 He has nearly 20 years of experience launching ETFs for highly respected providers such as Vanguard, Russell Investments and Northern Trust. 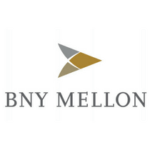 BNY Mellon, a global leader in investment management and investment services, announced that Frank La Salla has been appointed Chief Executive Officer of its Corporate Trust business and will report to Brian Shea, Vice Chairman of BNY Mellon and Chief Executive Officer of Investment Services. 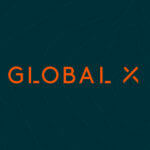 Noel Archard has been named head of global SPDR product, and Seth Morrison has been named head of global SPDR marketing. Both will be based in Boston. To continue to drive the strategic development of its international business and serve its growing global investor base, Northern Trust Asset Management has appointed senior leader Marie Dzanis to head its business across Europe, Middle East and Africa (EMEA). Stephen Mitchell, head of strategy for global equities and manager of the £307m Jupiter Global Managed fund, has left the firm. Mitchell joined Jupiter in March 2015 after running global income and growth investments for Caledonia Investments, where he was also a member of their investment committee. He has managed the group’s Global Managed fund since then, applying a greater emphasis on dividends and dividend growth to drive potential returns when he took over. Stuart Cox, who has been working with Mitchell since joining the company three years ago, will take over full responsibility of the fund on an interim basis. Schroders has appointed former Tilney chief executive Peter Hall as global head of wealth management, replacing Andrew Ross who is stepping back to become vice chairman of wealth management. J.P. Morgan Asset Management (JPMAM) has hired Vanguard’s Andrew Moore as an ETF capital markets specialist amid a recruitment drive for its international ETF business. 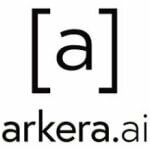 Arkera, a new AI-powered platform that helps self-directed investors make investment decisions by connecting news content to investment products, has hired Townsend Lansing as chief commercial officer. Lansing, who has spent a decade in the growing exchange traded fund (ETF) sector, will oversee the deployment of Arkera’s ETF platform for brokers and retail investors in Europe and North America. J. P. Morgan Asset Management (JPMAM) has bolstered its UK funds sales team with five new appointments. BlackRock’s Alice Gaskell, portfolio manager and member of the group’s European equity style diversified team, is leaving the firm. Seneca Investment Managers has expanded its investment team with the appointment of Amundi Asset Management’s Gary Moglione as fund manager. Morgan Stanley has become the first major banking firm to promote a woman to its most senior job in London, naming Clare Woodman — most recently its chief operating officer in the UK capital — as head of Europe, the Middle East and Africa. Morningstar has promoted Hortense Bioy to director of passive strategies and sustainability research for Europe. 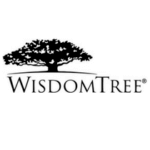 WisdomTree, an exchange-traded fund (“ETF”) and exchange-traded product (“ETP”) sponsor, is pleased to announce the appointment of Christopher Gannatti as Head of Research for WisdomTree in Europe. 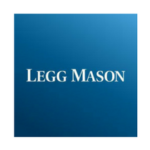 Legg Mason has hired Sophie Andrews in the newly-created position of head of UK strategic alliances, responsible for developing relationships with the firm’s distribution partners and advisory sales channels across the country. 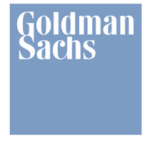 London Stock Exchange Group Plc hired Goldman Sachs Group Inc.’s David Schwimmer to run the 217-year-old bourse, ending a months-long search for a CEO by appointing another investment banker. Deutsche Bank has appointed retail specialist Christian Sewing as chief executive officer with immediate effect. BNY Mellon Investment Management’s Julian Horton, who has held various senior distribution roles over 20 years, will leave the firm in June, Investment Week can reveal. The portfolio manager of the Schroders Global Equity Income and ISF Global Equity Yield funds has left after 11 years with the firm, Investment Week has learned. A Schroders spokesperson confirmed Ian Kelly, who also managed the $4bn ISF Global Dividend Maximiser fund was leaving to “pursue opportunities outside of the firm”. 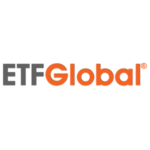 State Street Global Advisors (SSGA) has bolstered its management team with the appointment of Kathleen Gallagher as head of ETF model portfolios for EMEA and Asia Pacific. 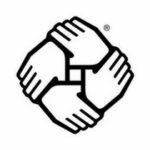 PIMCO has hired co-founder of the United Nations (UN) Principles of Responsible Investment (PRI) Gavin Power as executive vice president and chief, international affairs and sustainable development, as the firm works to build out its ESG investment platform. 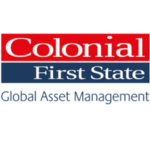 State Street Global Advisors has promoted Rory Tobin to a global role overseeing its exchange traded fund business, bringing an end a co-head arrangement that the company had put in place to help grow this business. Franklin Templeton Investments has appointed Caroline Baron as head of ETF Sales – EMEA to generate and retain assets within the group’s recently launched LibertyShares product suite. Fidelity International has begun searching for a new CIO of fixed income as the group announces the retirement of Charles McKenzie at the end of the year. Emerging markets investment pioneer and former executive chairman of Templeton Emerging Markets Group (TEMG) Mark Mobius is reportedly set to launch an emerging and frontier markets fund with an environmental, social and governance (ESG) tilt. At a conference in Mumbai, the EM veteran said he was applying for fund management licenses in London and Luxembourg just one month after retiring from Franklin Templeton investments, according to Indian news source livemint. Vanguard has promoted senior strategist Adrienne Monley to the newly created role of head of investment stewardship, Europe. 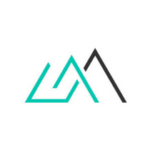 Based in London, Monley will be responsible for establishing the new team by directly engaging with public company directors and executives across UK and Europe. The team she will be running will also perform research into corporate governance topics and improve its participation in European stewardship industry groups. WisdomTree Europe has made eight employees redundant as the group prepares to complete its acquisition of ETF Securities, which has also lost 11 members of staff. 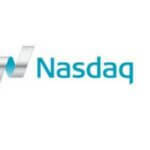 The redundancies have been made to reflect the new strategic direction of the business, after WisdomTree Investments announced the purchase of ETF Securities’ European exchange-traded commodity, currency and short-and-leveraged business for $611m in November, with the deal expected to complete by the end of Q1 2018, subject to regulatory approval. Fidelity has appointed Romain Boscher from Amundi as global chief investment officer, equities, replacing Dominic Rossi who has stepped back for a part-time role. Boscher joins Fidelity from Amundi, where he has worked as head of equities for the past seven years. He will start at the end of April and report to Bart Grenier, global head of asset management, and also be a member of the Global Operating Committee. 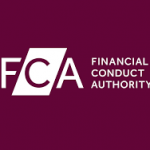 The Financial Conduct Authority (FCA) has promoted its acting chief operating officer (COO) Nausicaa Delfas to executive director of international, responsible for delivering the regulator’s response to the Brexit process. This will include providing technical support to HM Government, working closely with the European Union, international regulators and the financial services industry to ensure a smooth Brexit transition. Hargreaves Lansdown has appointed a former Barclays executive as its new chairman. Deanna Oppenheimer will replace Mike Evans with effect from Wednesday 7 February after the latter’s 12-year stint on the board of the FTSE 100 company. 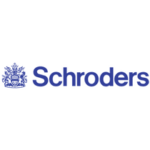 Huw van Steenis, the well-known and respected City financials analyst, has left Schroders little more than a year after joining the listed investment manager. 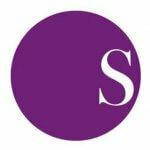 Van Steenis arrived at Schroders to much fanfare in the final quarter of 2016 but left the company late last year, according to people familiar with the matter. Van Steenis, who sits on the board of the English National Opera, joined from Morgan Stanley, where he was a managing director and head of European banks and diversified financials research. 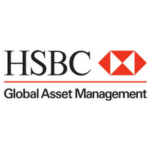 HSBC Global Asset Management has appointed Sebastien Faucher in the newly created role of head of passive fixed income. The appointment comes as HSBC GAM prepares to unveil a suite of passive fixed income products as part of a new UCITS fund range. Faucher joins from Legal & General Investment Management (LGIM), where he worked for a decade and was most recently head of index fixed income. Fidelity has appointed Hugh Prendergast from Pioneer Investments as global head of product, a newly-created role. Previously, Prendergast spent 16 years at Pioneer in a variety of roles including head of strategic product and marketing, and head of institutional portfolio management. He joined Fidelity on 19 January and will lead the firm’s product teams and develop its global product strategy. 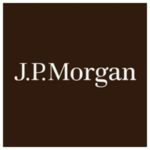 Three people including the head of State Street Global Advisors (SSGA) business in France have joined JP Morgan Asset Management’s ETF business. Olivier Paquier becomes head of Continental Europe ETF distribution with immediate effect after leaving SSGA where managed the ETF distribution team across Southern Europe and led SSGA’s French office. In the new role he will be based in London. US-based asset manager VanEck Investments has announced that it is expanding its business activities in Italy as part of the firm’s broader growth strategy in Europe. 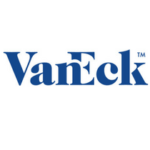 To support the firm’s expansion in the Italian market VanEck has appointed Salvatore Catalano as Associate Director of International Business and Sales. The hiring spree at independent white-label provider HANetf continues as the company has followed up its additions at the tail end of last year with two new faces joining in capital markets and marketing roles. Jason Griffin has been appointed as director for capital markets and business development while Simon Mott has taken on the role of director of marketing. The head of UK fixed income trading at the €710bn investment management arm of Deutsche Bank has quit her post as the group prepares to move the London-based dealing desk she managed to Frankfurt. 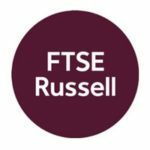 Richard Pease’s boutique firm CRUX Asset Management has recruited Legal & General Investment Management (LGIM) fund manager Richard Penny. 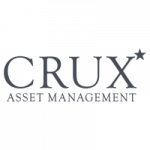 Crux will be launching a new UK mandate to be run by small and mid-cap specialist Penny. 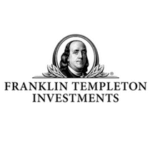 Franklin Templeton has integrated its European equity team into the Templeton Global Equity Group (TGEG), with management of a suite of funds to be led by head of European equity strategies Dylan Ball. HANetf, Europe’s first independent white label ETF platform founded by Hector McNeil and Nik Bienkowski, has appointed Samir Patel as general counsel and Ignatius Faissal as director of product management. Credit Suisse is poaching an equities banker from Deutsche Bank. The hire is the latest in a series of notable equities moves this year for the Swiss bank, as it tries to bolster parts of investment banking. 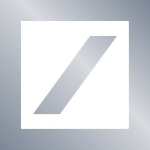 The Zurich-based bank is hiring Guy Dunning from Deutsche Bank. Xavier Rolet, chief executive of London Stock Exchange, is to leave the exchange “with immediate effect”, one year ahead of his scheduled departure. 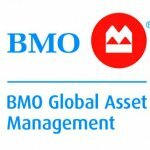 BMO Global Asset Management has hired ETF Securities’ Morgane Delledonne as ETF investment strategist in EMEA. Architas has appointed Mayank Markanday as investment manager from Russell Investments to co-manage a number of funds, including the £238m Diversified Real Assets fund alongside Soloman Nevins and Sheldon MacDonald. State Street Global Advisors (SSGA) has hired Marcus Miholich for a newly created role as head of its ETF brand, SPDR, in the Nordic countries. 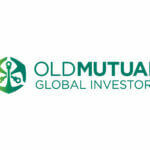 Old Mutual Global Investors (OMGI) has hired Newton Investment Management’s Freddie Woolfe as head of responsible investment and stewardship. Three key figures from Janus Henderson’s European equities team, who worked closely with director of European equities John Bennett, are to leave the firm in January. Asim Rahman, who has been a listed co-manager on all three funds since 2010 will leave the firm at the beginning of next year, while analysts Bill Casey and Nick Kissack, who have been on the team since 2011 and 2014 respectively, are on gardening leave. Columbia Threadneedle Investments has appointed Lorenzo Garcia as head of EMEA client investment solutions from BlackRock, where he spent 12 years. 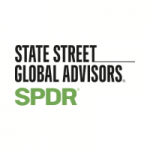 State Street Global Advisors (SSGA) has named Ana Concejero as its new country head of Standard & Poors depositary receipt (SPDR) exchange-traded funds (ETFs) for Spain. HSBC has hired the man in charge of employee conduct risk at Deutsche Bank at a time when closer scrutiny is being paid to the behaviour of the UK bank’s traders. Toby Billington, who has spent the past three years as a managing director and head of wholesale conduct and risk culture for Deutsche Bank’s investment bank, has just joined HSBC as chief controls officer for its global banking business. 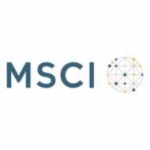 MSCI a leading provider of indexes and portfolio construction and risk management tools and services for global investors, announced today that, effective October 31, 2017, its Board of Directors has appointed C.D. Baer Pettit to the position of President. Geoffrey Post recently moved from Nikko Asset Management to China Post Global on a Sales Director position. Xavier Rolet, CEO of London Stock Exchange Group, has announced he will leave the role by the end of December 2018. 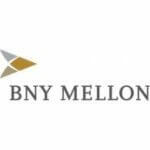 BNY Mellon Investment Management has hired Edward Lee as investment director in its UK intermediary distribution team. 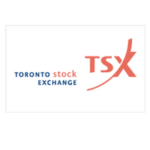 Marc Knowles, former head of ETFs at BMO GAM, has joined the ETF team at KPMG. Schroders has expanded its global equities team with the appointment of Frank Thormann as a portfolio manager. 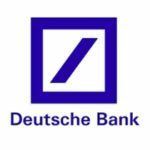 Reinhard Bellet, head of passive investment products at Deutsche Bank Asset Management will be leaving the German group this year. 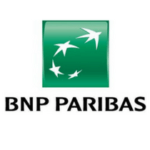 BNP Paribas Asset Management (BNPP AM) has further strengthened its ETF and indexed fund team with the appointment of Chris Hofmann as Senior Sales Manager for German-speaking clients. Chris Hofmann, previously head of ETF asset allocation at the wealth management arm of UniCredit, has joined BNP Paribas Asset Management as senior sales manager for the ETF and indexed fund team in Germany. Michael Cole-Fontayn is to step down as executive vice president and chairman of Europe, the Middle East and Africa in December. Reporting into Bryon Lake, JP Morgan Asset Management has hired Deutsche Bank’s John Adu as UK ETF distribution head and Societe Generale’s Tom Stephens as ETF international capital markets head. 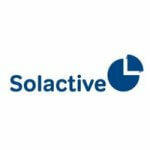 Solactive appoints new chief risk officer. 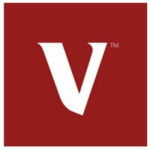 Vollmuth will join Steffen Scheuble, CEO, and Christian Grabbe COO as member of the management board. BlackRock has promoted iShares’ EMEA head Rachel Lord as head of Europe, Middle East and Africe (EMEA) for the whole firm, replacing David Blumer who will become head of BlackRock’s alternatives wing. J.P. Morgan Asset Management (JPMAM) has appointed Karen Ward as chief market strategist for UK and Europe, replacing Stephanie Flanders who left in June. 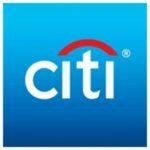 The bank said in a memo that Sabrina Wilson had been named as regional head of futures, clearing and collateral in Europe, the Middle East and Africa. Cuan Coulter is the new head of State Street Global Advisors’ (SSgA) operations in Europe, the Middle East, and Africa (EMEA). He will replace Mike Karpik, who is leaving the company, following a transition period over the summer. Lyxor ETF has boosted its sales team with the appointment of Source’s David Lake as head of ETF sales for UK and Ireland. 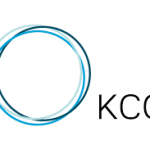 Phil Allison, who became chief executive of KCG‘s European business in 2014, is in line for a parachute payment of $7m. BNP Paribas Asset Management has appointed former chief executive of Pioneer Investments, Sandro Pierri, as global head of its client group, the firm’s sales and marketing division. Ossiam, the smart beta specialist fund manager and affiliate of Natixis Global Asset Management (Natixis), has expanded its team with the appointment of Mirko Jungmann as product specialist for Austria, Switzerland and Germany. Invesco Perpetual has recruited Doug Turnbull, former head of Chinese equities at Neptune Investment Management, to work within its emerging markets team. Vanguard has hired a new sales chief for continental Europe, responsible for co-ordinating an expansion drive in the region. Thomas Merz will be based in Zurich and report to Sean Hagerty, head of Europe, Vanguard said in a statement. 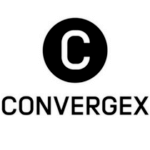 He will oversee European distribution, excluding the UK. Exchange-traded funds provider WisdomTree has hired the former head of State Street Global Advisors’ ETF business in Europe, Alexis Marinof, to run its distribution network on the continent. Alex Hoctor-Duncan, head of BlackRock‘s Europe, Middle East and Africa (EMEA) retail business, has decided to leave the firm, having first joined in 1997. Alex will be replaced by Michael Gruener. Henley-based asset manager Invesco Perpetual has appointed Nick Black as its head of investment trust distribution, following the retirement of Andrew Watkins earlier this month. J.P. Morgan Asset Management‘s chief market strategist Stephanie Flanders will leave the company later this year to lead a new economics desk at Bloomberg. 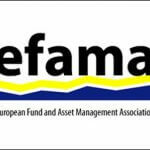 The European Fund and Asset Management Association (EFAMA) has elected the CEO of M&G Securities, the firm’s retail arm, William Nott as president for a two-year term. 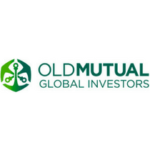 Old Mutual Global Investors (OMGI) has hired a trio of managers from Nomura Asset Management to set up a new global emerging markets equity desk, while also planning to move its EM fund in-house. 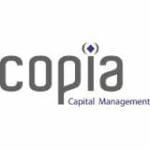 Copia Capital Management, the investment management division of Novia Financial, has appointed Malcolm Small as a special adviser for retirement. BNP Paribas has hired Simeon Tsonev as currencies portfolio manager, a newly-created role within its emerging markets fixed income team. 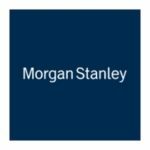 Morgan Stanley Investment Management has appointed Max Harper as a senior sales person on its UK discretionary distribution team. 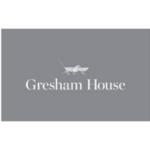 Specialist alternatives asset manager Gresham House has appointed former Amundi director Michael Hart as head of distribution. 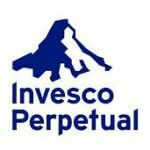 Invesco Perpetual has promoted Nicholas Mason to co-manager of the firm’s Latin American fund, alongside head of emerging markets equities Dean Newman, from 30 June. Schroders has revealed Luke Biermann will take over its £622m UK Dynamic Smaller Companies after announcing Paul Marriage and John Warren are set to leave the firm to start up their own business Tellworth Investments. 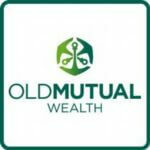 Old Mutual Wealth has appointed Jon Little as an independent non-executive director to its board, becoming the sixth director to join since Glyn Jones became chairman in September last year. 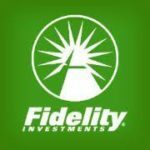 Fidelity International‘s Dominic Rossi has decided to step back from his role as CIO as he moves to a part-time advisory role from January 2018. HSBC Global Asset Management has appointed Sandra Carlisle from Newton Investment Management as head of responsible investment, while Stephanie Maier and Helene Winch also join as senior responsible investment specialists. Schroders has appointed Daniel Imhof from UBS Wealth Management in the newly created role of head of global sales. Franklin Templeton Investments has appointed Aberdeen Asset Management’s head of UK distribution Martyn Gilbey to lead its UK operations. Fidelity International has hired Sonja Laud from Baring Asset Management for the newly created role of head of equity. 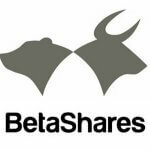 Australian exchange-traded fund (ETF) provider BetaShares has announced the appointment of Dan Annan to the newly-created role of director, Institutional Business. JP Morgan Asset Management (JPMAM) is expanding its Asia Beta Strategies team with two Hong Kong appointments. Albert Chuang has relocated to Hong Kong as Portfolio Manager on JPMAM’s Quantitative Beta Strategies Investment team. He is focused on quantitative research, model development and portfolio management for strategic beta and alternative risk premia strategies. He manages portfolios for both Funds and Institutional clients. 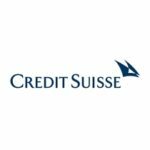 The asset management arm of JPMorgan Chase and Co on Wednesday appointed Philippe El-Asmar as head of Asia beta strategies. The firm’s global equities team, headed by Ian Heslop, will take over the $180m Old Mutual Pacific Equity and the $421m Old Mutual Asian Equity Income funds from Crabb, who is leaving the business in May to pursue other opportunities. Sydney-based global equities manager Antipodes is welcoming a new managing director as well as three new investment team members. It is also establishing its second active exchange-traded product and launching Irish-domiciled UCITS funds for its three investment strategies. Stephen Chang, head of Asian fixed income at JP Morgan Asset Management (JPMAM), has left the firm, leading Morningstar to downgrade its $3.3bn Asian Total Return fund. In this role, Meaghan Victor will be responsible for leading, managing and growing the SPDR ETF business, building new solutions across sales, marketing, capital markets, products and infrastructure. Joanne Warner, head of global resources at First State Investments, will retire from fund management in August after 20 years at the firm. 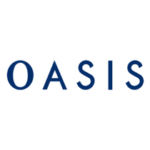 Former chief executive of the Financial Conduct Authority (FCA), Martin Wheatley, is returning to financial services with a role advising Oasis Management, a Hong Kong-based hedge fund. 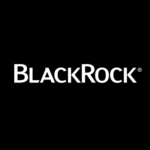 Chief operating officer Michael Marquardt has left after seven years in the role and 17 with BlackRock.